Is it snowing in Heavenly ?¡Gracias! 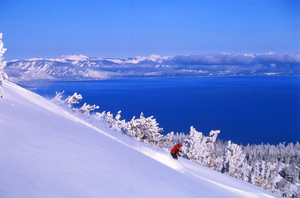 Few ski resorts match Heavenly's scenic beauty and expansive network of lifts, terrain, trails, and snow-making. 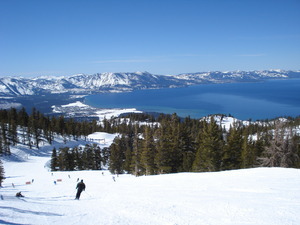 Located on the south shore of Lake Tahoe, Heavenly is the region's largest mountain resort, featuring the highest elevation and longest vertical drop. There is an 8 passenger gondola. 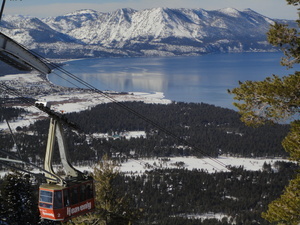 This lift will whisk you from downtown state line directly to the top of the mountain, near the California-Nevada border. The village on the south shore's main highway (beneath the towering mountain) includes two Marriott Hotel/clubs, a cinema complex and the welcoming, gondola plaza. 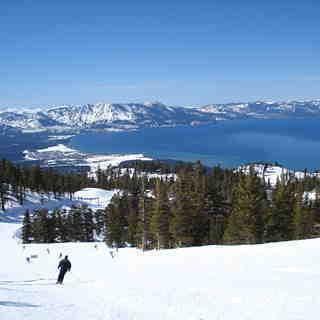 The views of Lake Tahoe and the Sierra mountain range are magnificent. 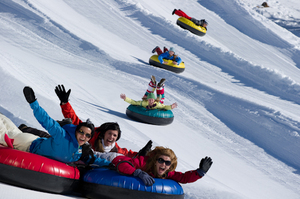 The snowfall tops 20 feet virtually every year and you can slide over 4,800 skiable acres. This resort spans two state lines (California and Nevada). There have been millions of dollars invested in mountain improvements over several years. Heavenly is owned by Vail Resorts, Inc.
November 23 2018 Heavenly Village hosts the annual Christmas Tree Lighting. 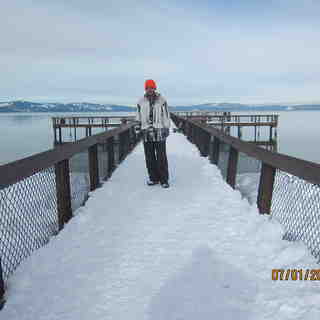 Come out and enjoy a beautiful scene in the heart of Lake Tahoe. 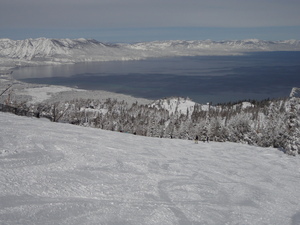 Heavenly has some great aspects of the mountain. The views are amazing and it has some really great hidden gems if you know where your going. However, over the years I feel like Heavenly has lost sight of what people want and only cares about what people will pay for. Their terrain parks are horrible compared to other mountains in the area. Plus they have a very Nazi like mountain safety staff that acts as fascist mountain cops that take your pass for a month. A good friend of mine just got his taken for a month and I've been close to getting mine taken before too. I would love to see some creativity and effort put back into the terrain parks and to see the mountain safety staff back off of people a bit. Some people work all year to come out here and ski or snowboard and they are taking peoples passes for a month with no warning. Ease up and let people have some fun.